You can contact us writing an email to flavio@ya2.it. My name is Jay and I am from Phoenix, Arizona. I currently live in the south of Puerto Rico. In my free time, I love to play classic video games and compose music for fun. I started playing piano at age 14 and decided soon after that music is my hobby and my passion. 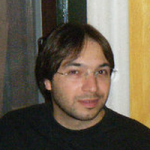 Spanish and Galician: Leandro Vergara. Jeff Skyrunner (blog, until 0.7). Social network icons are a product of Komodo Media.